I am just so sad to hear of Keith Emerson leaving us. RIEP KEITH EMERSON - the man who showed immediate records a future it could not contain. no whimsical tweets today. It's heartbreaking to lose so many musician friends this year and now Keith Emerson . Rest peacefully my friend. Your music will live forever. Dear Keith Emerson has left us too soon. Many great memories a truly gentleman. Rest in peace. Keith Emerson R.I.P. This is getting out of control. Keith Emerson -one of my biggest musical influences. Through him I discovered so much amazing life-changing classical music. Rest in Peace. R.I.P. 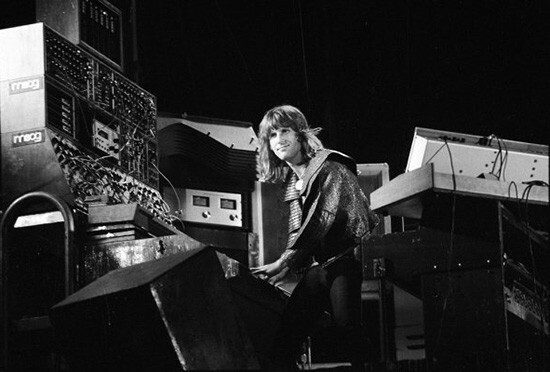 Keith Emerson. Very sad. Here's "Empire of Delight" from 1986. Words by Peter Hammill, music by Keith Emerson. So deeply saddened at the news of Keith's passing. One of the true innovators of contemporary music. Thank you for all you created and left for generations to enjoy. Gere Fennelly pays tribute to Keith Emerson. Hard to believe he is gone.. #RIP #KeithEmerson .. Friend.. You'll be missed.